Students from the University of Southampton are aiming to put the first life on Mars. #LettuceOnMars, a student project from the University of Southampton Spaceflight Society, has reached the finals of an international competition, run by Mars One, to land experiments on Mars. It is now one of the ten short-listed university projects, and the only UK entry, that was selected for technical feasibility and popularity. The winning payload will arrive on Mars in 2018 together with the official Mars One experiments. The aim of the Southampton project is to send a small greenhouse to Mars in which lettuce will be grown using the atmosphere and sunlight on Mars. The team now need the votes of the general public to be chosen as the winner and realise their plan to grow lettuce on Mars. Voting is open now and closes on 31 December 2014. 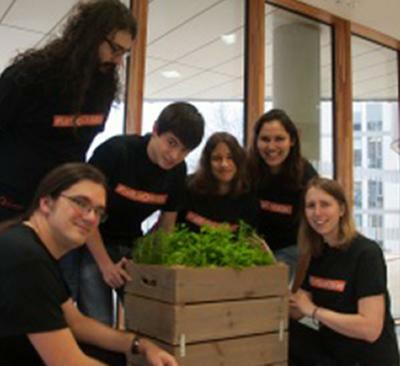 Project leader Suzanna Lucarotti, says: “To live on other planets we need to grow food there. No-one has ever actually done this and we intend to be the first. This plan is both technically feasible and incredibly ambitious in its scope, for we will be bringing the first complex life to another planet. Growing plants on other planets is something that needs to be done, and will lead to a wealth of research and industrial opportunities that our plan aims to bring to the University of Southampton. The Spaceflight Society is an interdisciplinary team of under and postgraduate students. You can also follow them on twitter @MarsOneProject and @lettuceonmars, on Facebook https://www.facebook.com/LettuceOnMars and on Google+.